With everything that has happened this last week, between my friend’s accident and many other ‘bumps’ in the road I haven’t had much time nor energy to cook many meals. Even with a scheduled monthly meal plan in place I just haven’t been able to follow it or frankly, even care about it. I stayed at the hospital Monday night and my family came in and brought some take out so we could still have our family meal together. I left the hospital yesterday afternoon and stopped by Fred Meyer on the way home to grab a few things for dinner that the kids could help prepare. They always want to help out in the kitchen and I thought now would be the perfect time to let them. Italian food has always been my favorite cuisine to eat, so I picked up a couple Bertolli meals in the freezer section for some quick dinner options as well as some fresh produce for a salad, and artisan garlic bread that I found in the bakery section. It’s the first Monday of 2016! If you are like me, today is more like the official start of the New Year as I begin implementing goals and changes that I didn’t get around to over the holiday weekend. I don’t know if I’m necessarily going to write down resolutions this year but I do know that I am going to concentrate on balancing my life more. It seems like we are always teetering back and forth between calm and chaos and in 2016 I really want to focus on preventing from falling to one side or the other (normally it’s the chaos side!) With more work comes less time to focus on myself, and my health – and last year it hit me hard. This year I want to make sure that it doesn’t happen again, so I’m going to consciously do things that are better for me, like jumping jacks when I wake up, hot baths to soothe aching muscles, and making sure I have snacks that keep me energized throughout the day so I’m not holding my eyes open with toothpicks by 2pm every day. Now that the holidays are over I feel like we can all finally sit down and just relax a little. 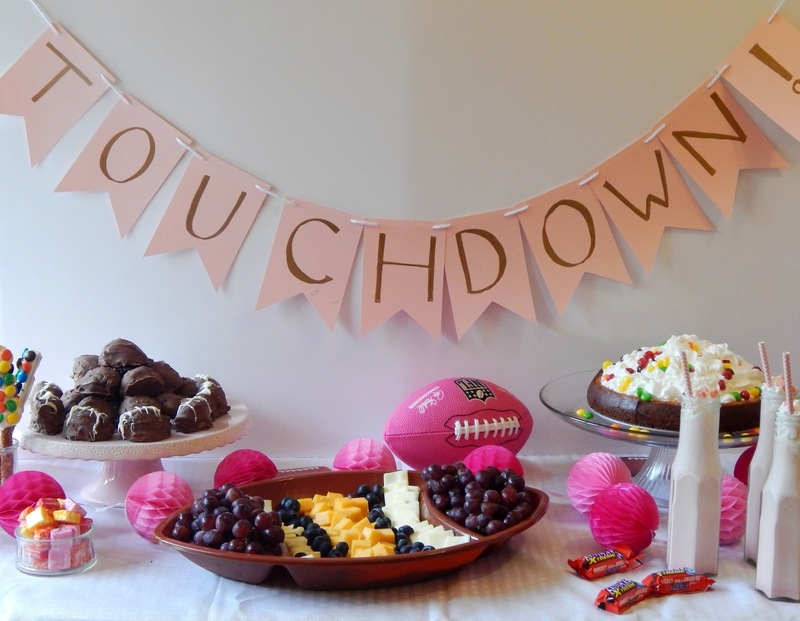 January and February are the months when the kids don’t have as many after-school activities and after going non-stop since September, we definitely enjoy a few weeks of a slightly slower-paced schedule. During the fall months and all the way up until Christmas, things are so busy that we don’t even have much time to just sit back together as a family and do absolutely nothing. 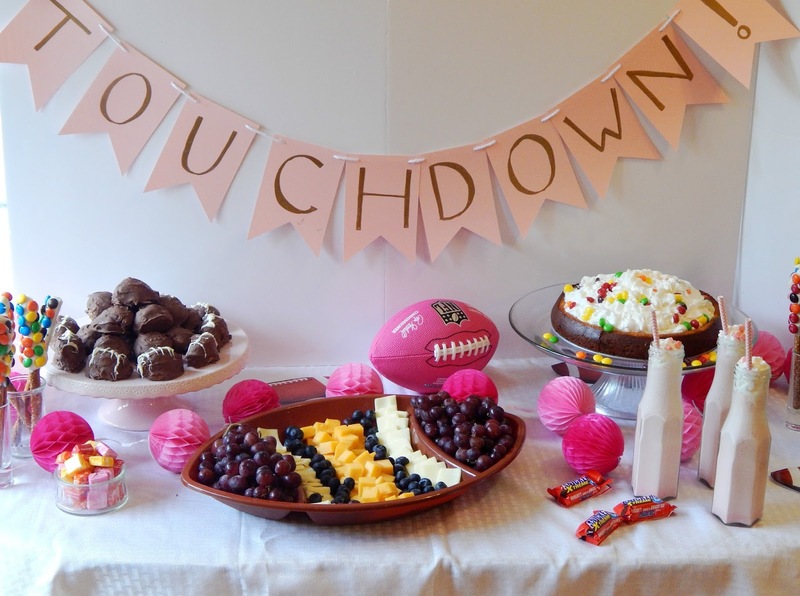 My idea of a day of nothing includes staying in my pajamas all day, snacking on some tasty bites, sipping on a delicious drink, and binge watching TV with my family. 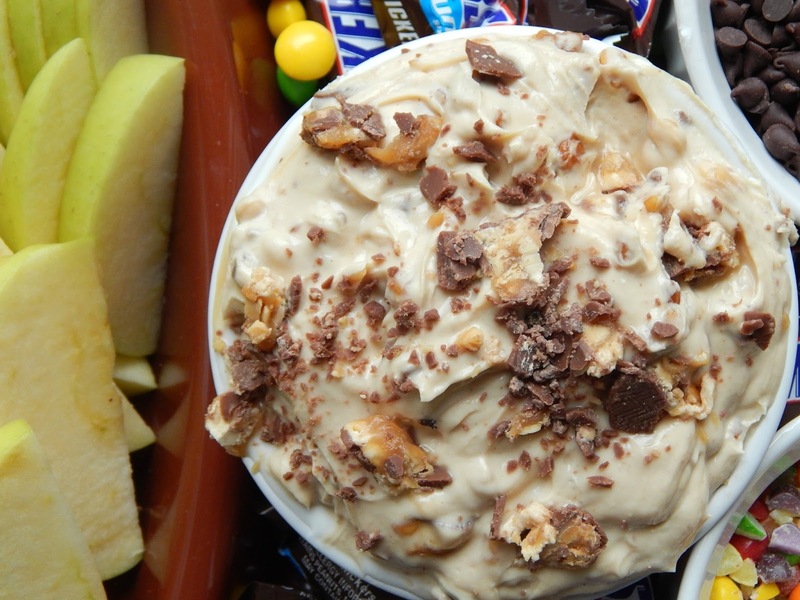 It’s a guilty pleasure that doesn’t happen near enough…and this month I hope to take a couple of days and change that. I grew up on canned cranberry jelly. You know, the kind that looks like the shape of the can when you pour it out? Many people love canned cranberries and they’re really not that bad, however, once I made homemade cranberry chutney for the first time I fell in love. 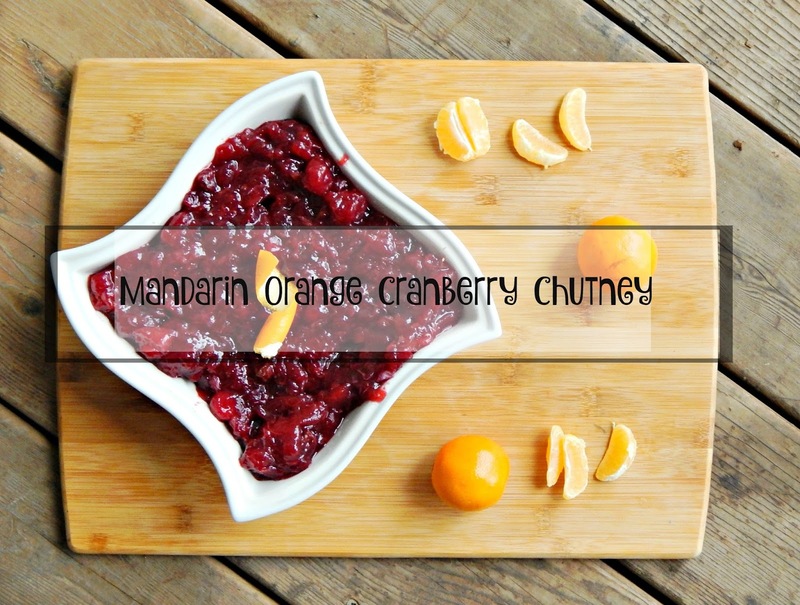 A few years ago I was scrolling through a magazine that I had received in the mail and it had a recipe for homemade cranberry chutney. I was in charge of creating Thanksgiving dinner for our families and I wanted everything to be homemade, so I decided to use the recipe from the magazine. The chutney was a hit and I haven’t used canned cranberries since. Lunch; it’s a necessity, but it used to very rarely be a luxury. Lunchtime used to consist of getting three little ones to decide on what we were going to eat, get them all sitting in one spot for more than 5 minutes (all at once) and try to coax them into eating the veggies on their plates. Half of the time back then I would be standing so long going back and forth between the three of them that at some point I just gave up making myself a plate and either just picked and nibbled, or caved in and ate whatever was left from their plates. Now they are getting older, and this year they are all in school, and I’ve suddenly found myself with time to actually sit down and enjoy lunch. 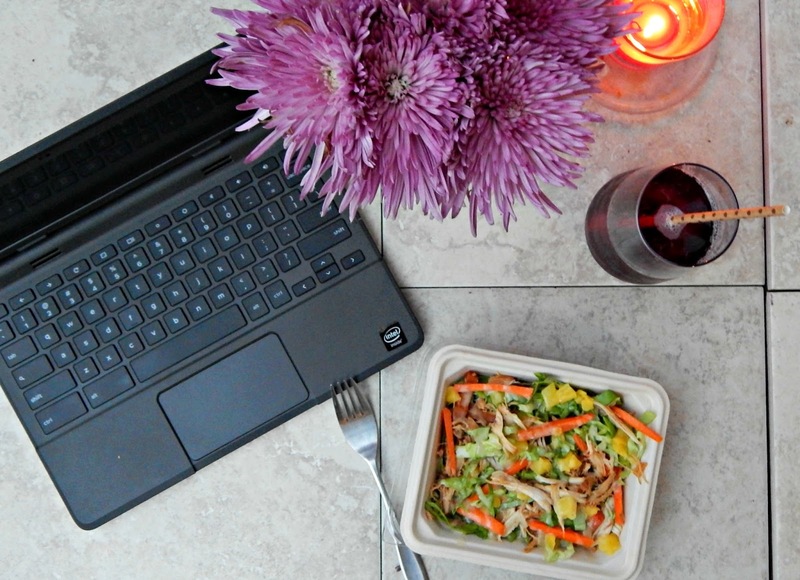 On nice days I can even sit outside and eat while I’m working – without any interruptions. It’s quite an experience I’ll tell ya. 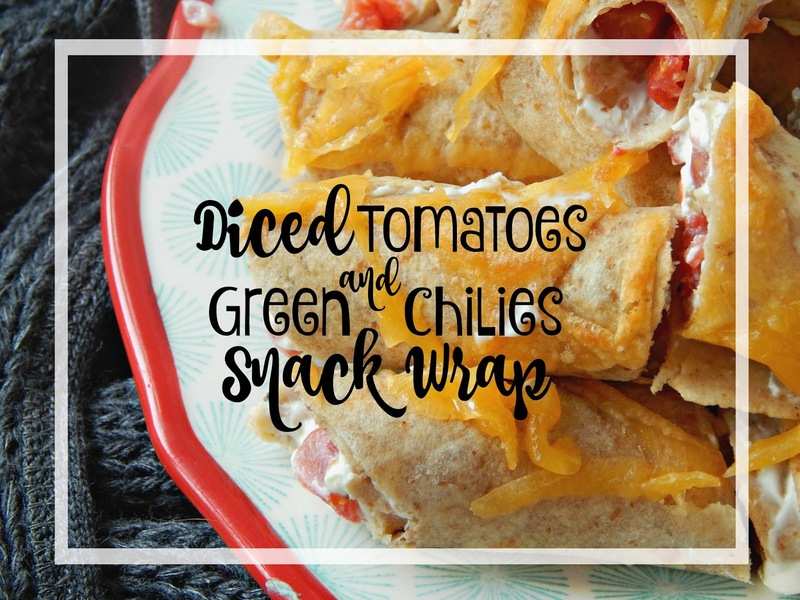 Most of the time I don’t’ really like to make anything too much when it’s just myself, so I’ll make a wrap or a salad using leftovers from the night before. 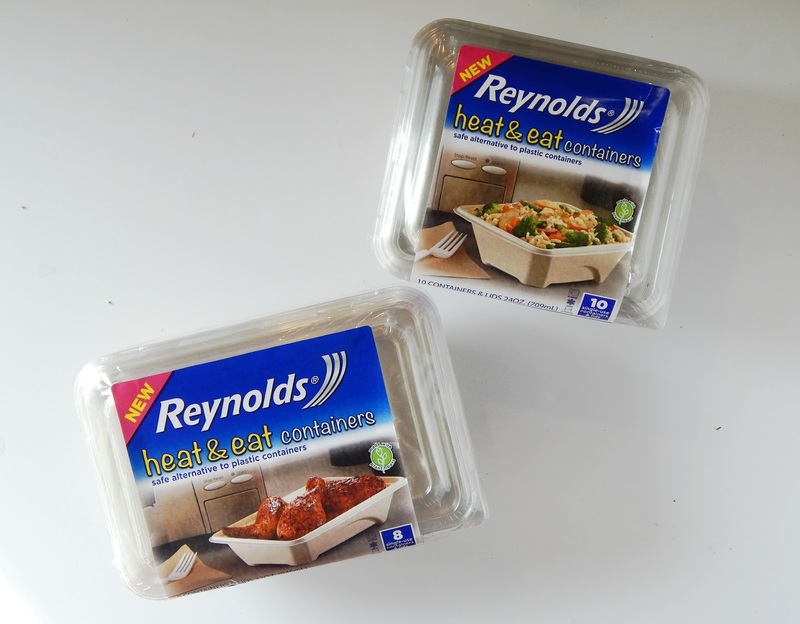 I have been using the new Reynolds ™ heat & eat disposable containers to put dinner in when we are through, and I can then easily re-warm it in the microwave the next day and add it to my lunch. 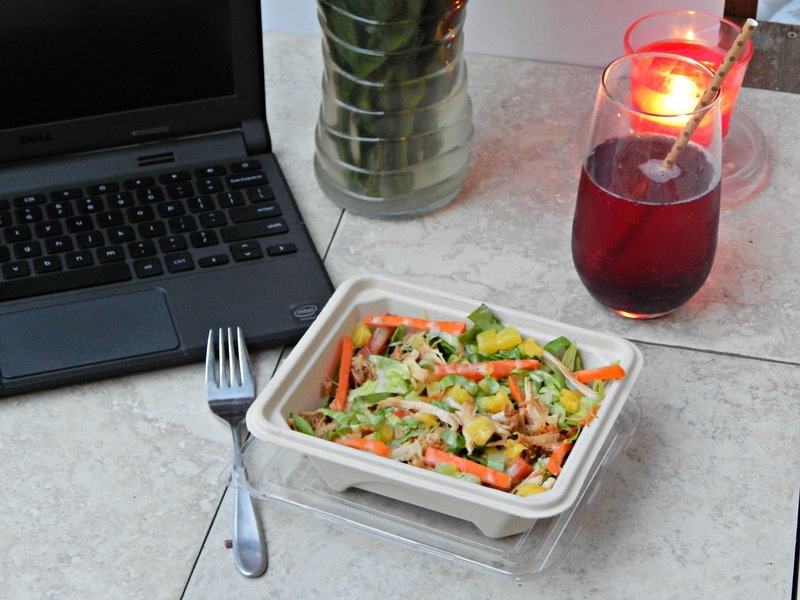 The Reynolds ™ heat & eat containers come with a BPA free, recyclable plastic lid that snaps shut to help prevent messy leaks, and are also awesome to for guests to take food home with them after a dinner party. 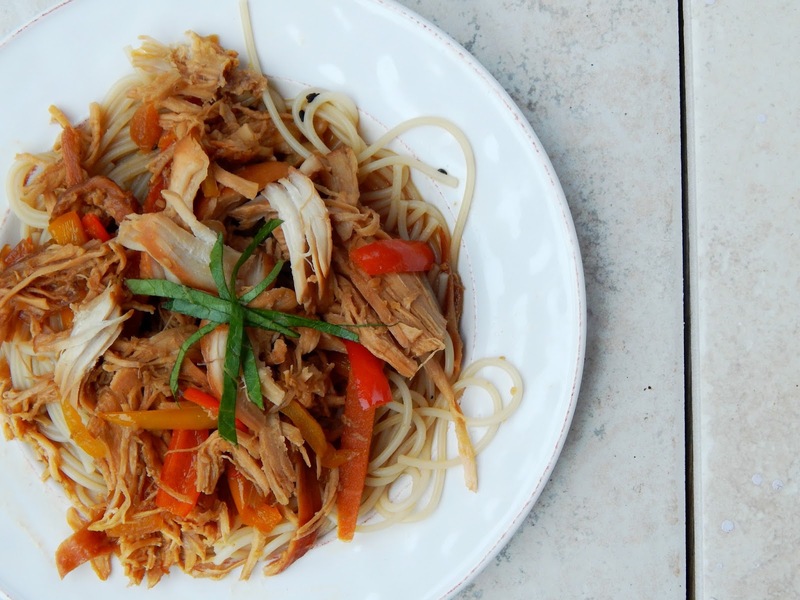 The other night I made something for dinner in the slow cooker that actually tasted pretty good – Teriyaki Chicken. It was super easy to make and cooked for 4 hours on high. 2. 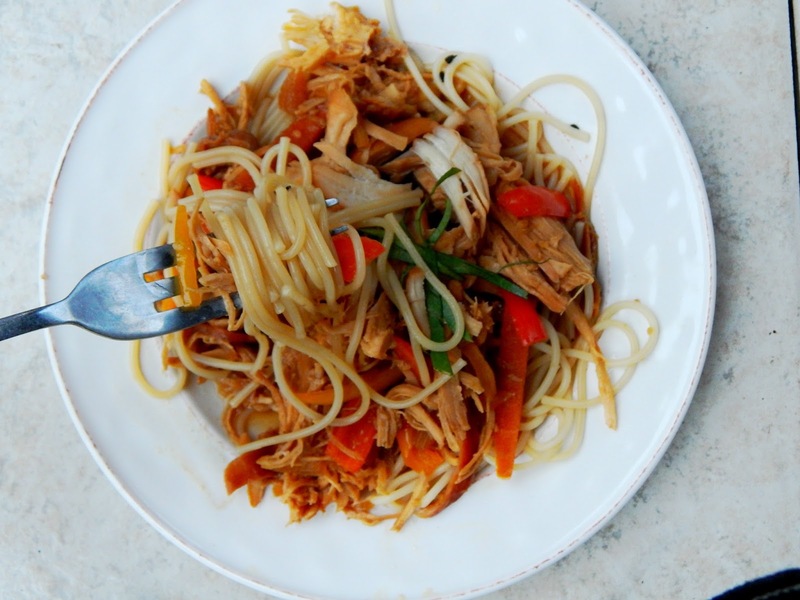 Pull apart the chicken and serve on a bed of rice noodles. Add sautéed vegetables if desired. 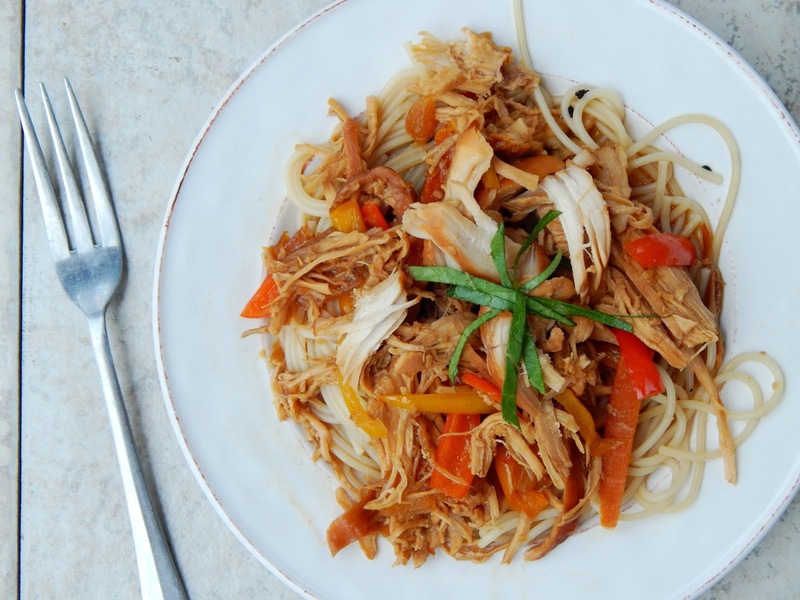 Yesterday, I used the Teriyaki Chicken and turned it into a teriyaki chicken salad which was delicious! I placed my Reynolds ™ heat & eat container in the microwave, but only for about 30 seconds -Just enough to warm the chicken slightly so I could build a salad around it. I added shredded lettuce, julienned carrots, diced pineapple, and a drizzle of sweet onion sauce and tossed it in the Reynolds ™ heat & eat container for lunch. 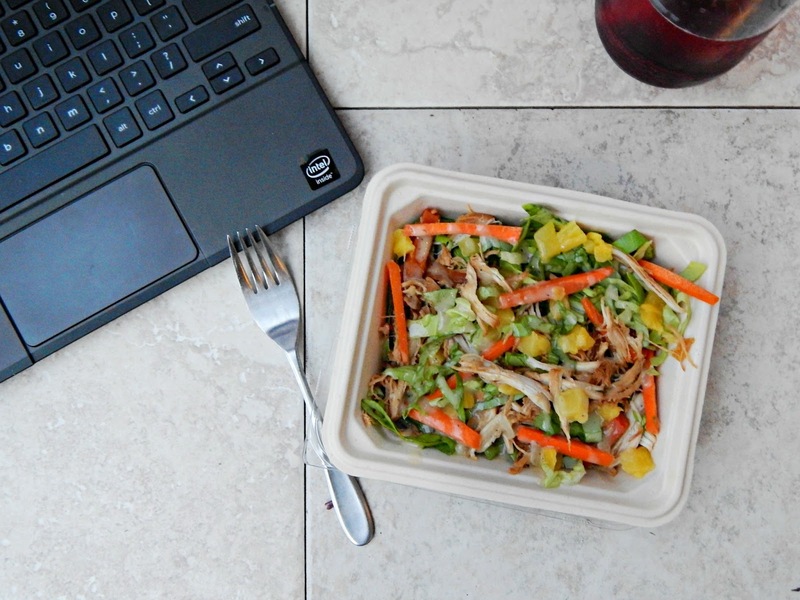 It’s a great lunch to take out somewhere to work, or to have at home too. 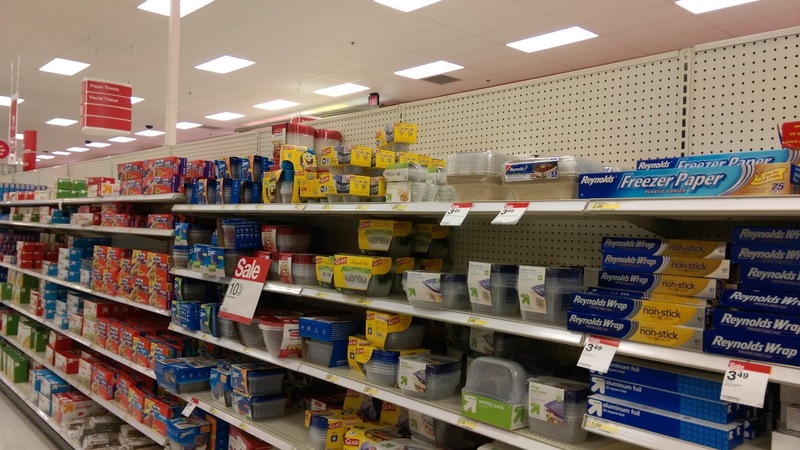 The Reynolds ™ heat & eat containers can be found at Target in the same aisle you find Reynolds ™ Aluminum foil. 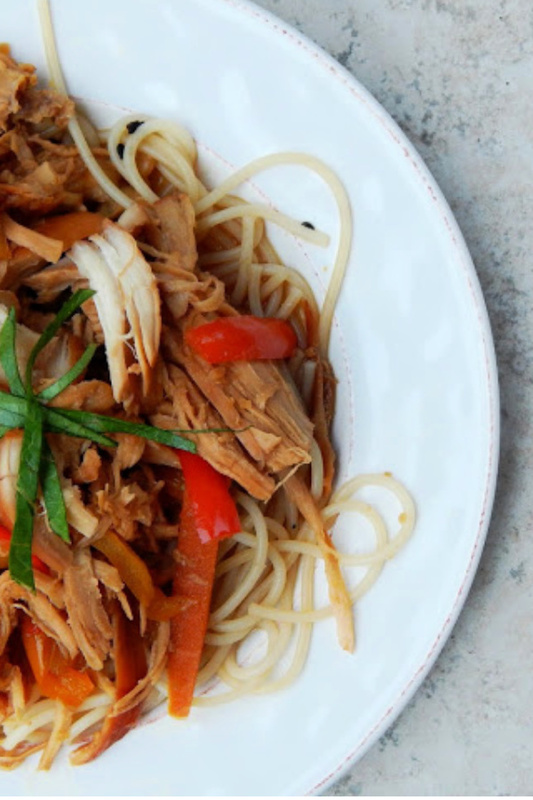 Do you normally eat leftovers the next day? Do you transform them into something else really quickly or just heat and eat them? 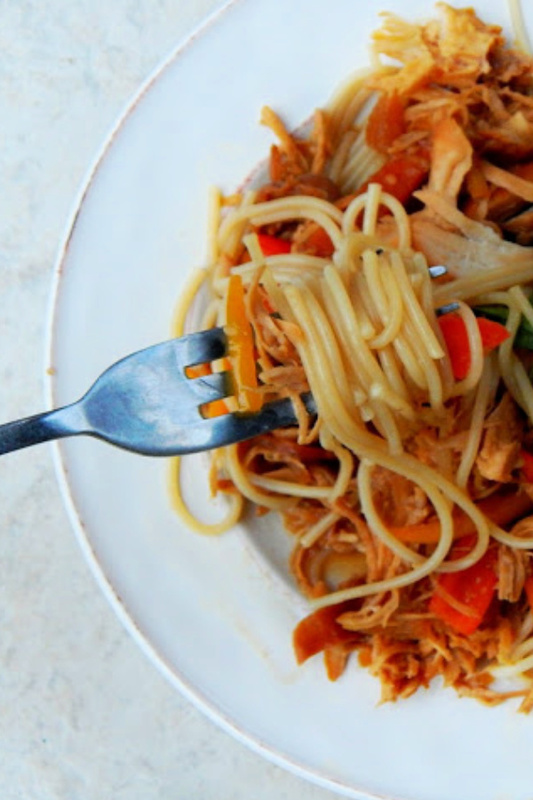 Most of the time when I make a quick meal it’s because, well, I’m in a hurry. 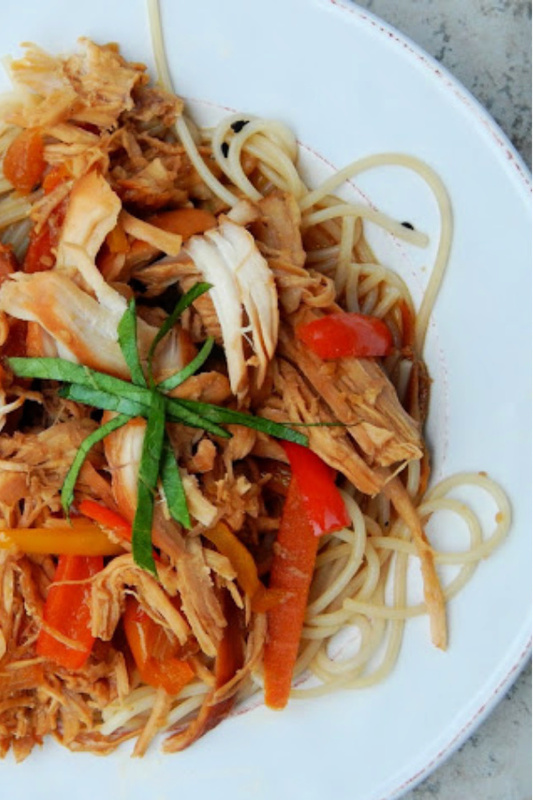 Sometimes though, I’ve learned that it’s good to have a fast go-to meal when you’d rather spend a free evening sitting down together as a family, whether you are playing board games, talking about your days at school or work, or watching a movie together. 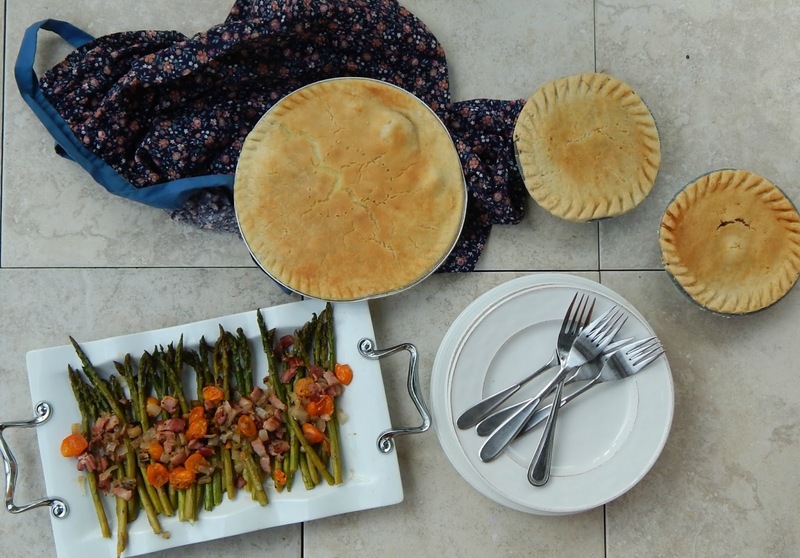 I like to keep Marie Callender’s ® Pot Pies on hand for when I stumble upon such a rare occasion. 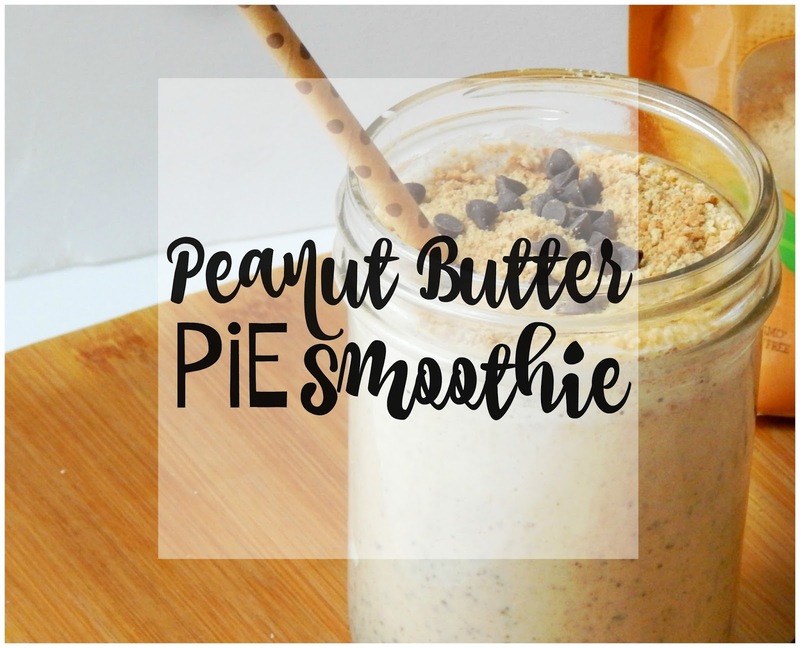 They have many different flavors and sizes to choose from, so I can make everyone their own individual pie, or I can bake a family sized pie in the oven for all of us to enjoy. To me, Marie Callender pies bring back a feeling of nostalgia and comfort in a golden, flaky crust. Oh the holidays. What can I say? I absolutely adore them – especially this time of the year. From Halloween, to Thanksgiving, Christmas, New Year’s, and Emma’s birthday on January 14th, we have lots of moments to make fun memories together. 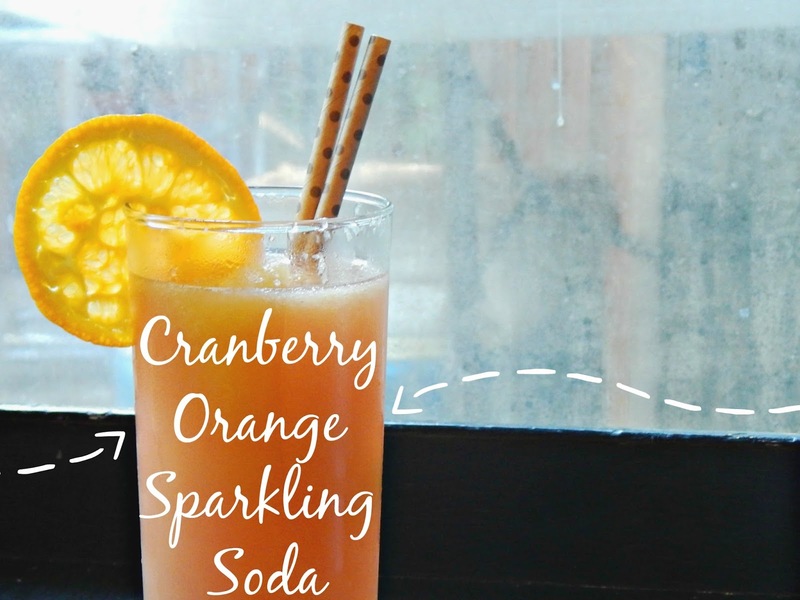 During special dinners or events I like to make not only treats to eat, but original drinks as well that the entire family can enjoy. Whether it be parties or ringing in the New Year, my kids know that we will have something special to “Cheers” with. You guys – we’ve been so busy this past week that I’ve not gotten back out to pick blueberries with the kids yet! 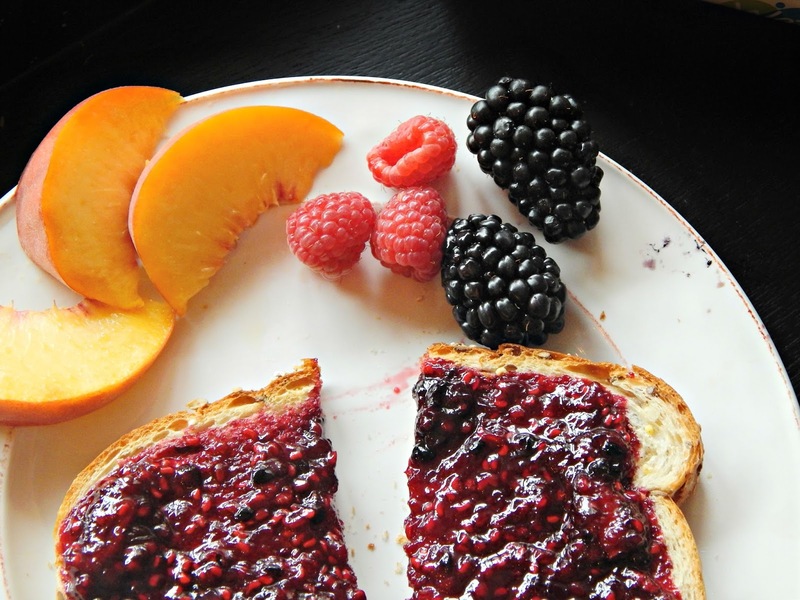 I promised to make some more jam with them though, so this morning we drove over to our local fruit stand to buy a flat of blueberries…bad idea on a weekend! They were nearly out of fruit for the day, and only had a couple pints of blueberries. 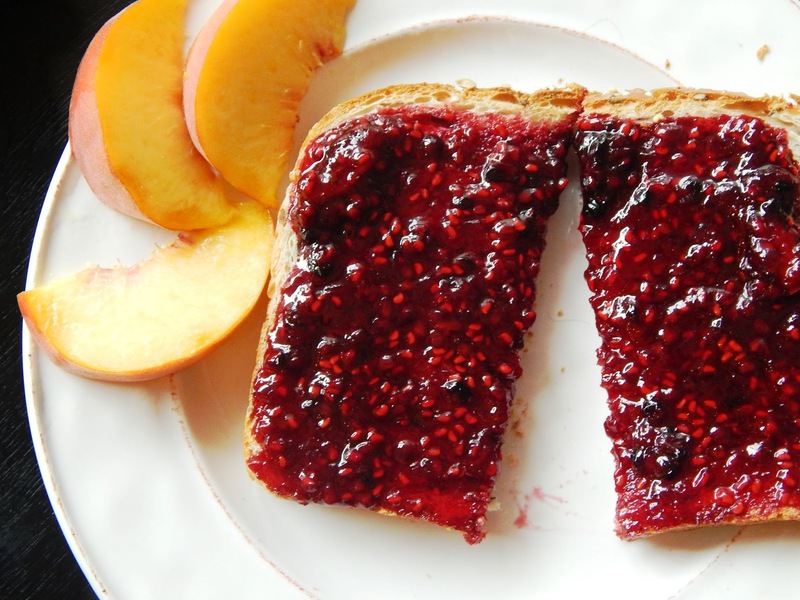 As you can imagine – making jam can be, well – downright messy. 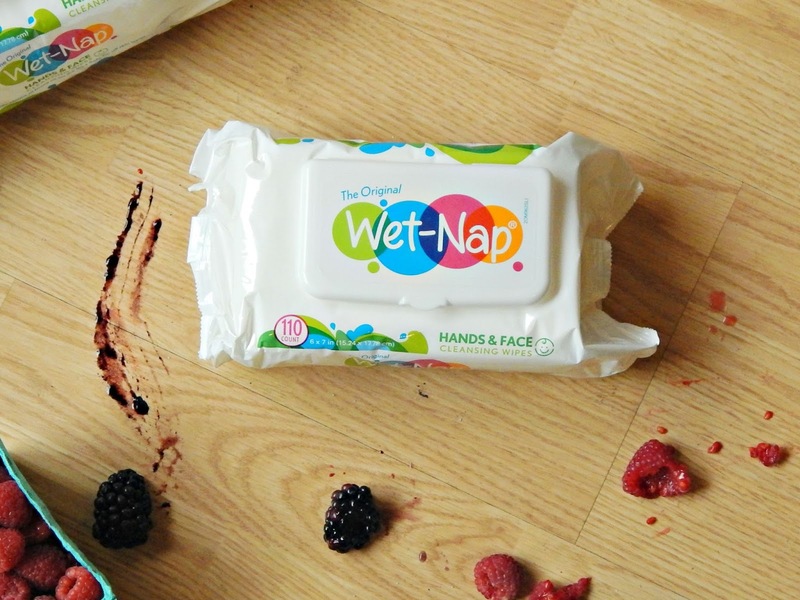 I always keep cleansing wipes on hand for easy clean up – like Wet Nap® Cleansing Wipes. 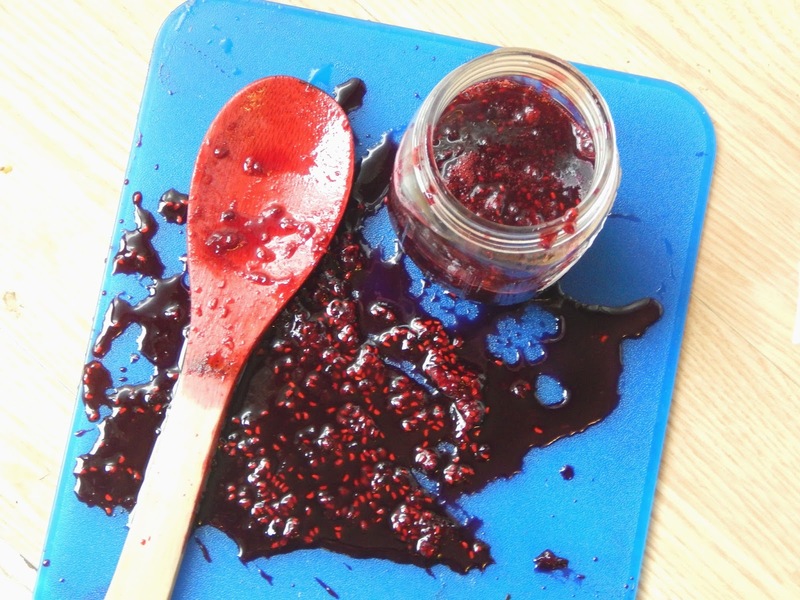 We always seem to get jam on our hands when I’m pouring the jam into the jars, and it is inevitable that the kids will dip their fingers into jam and sneak berries whenever possible! 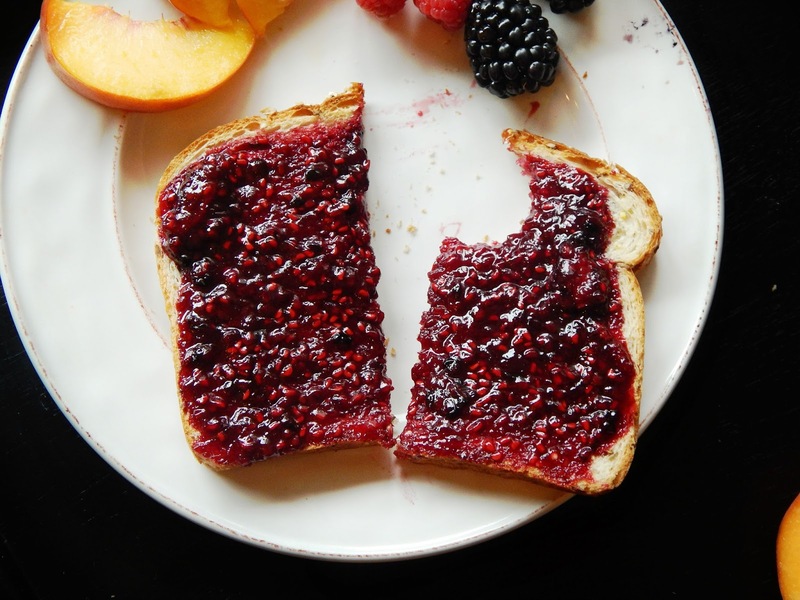 I decided to do something a little different with this batch of jam and added a tablespoon of orange emulsion to give it a little bit of a unique twist with the berries, and I think it turned out pretty darn delicious. 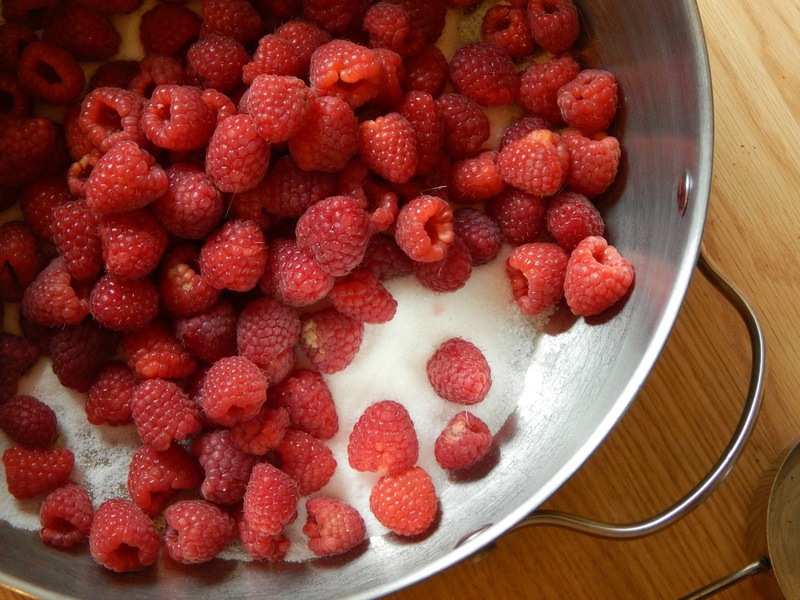 Wash the berries thoroughly and add them to a large cooking pot. Add the sugar, lemon juice, and orange emulsion; stir. Using a potato masher, gently smash some of the berries. Set aside for about 30 minutes. 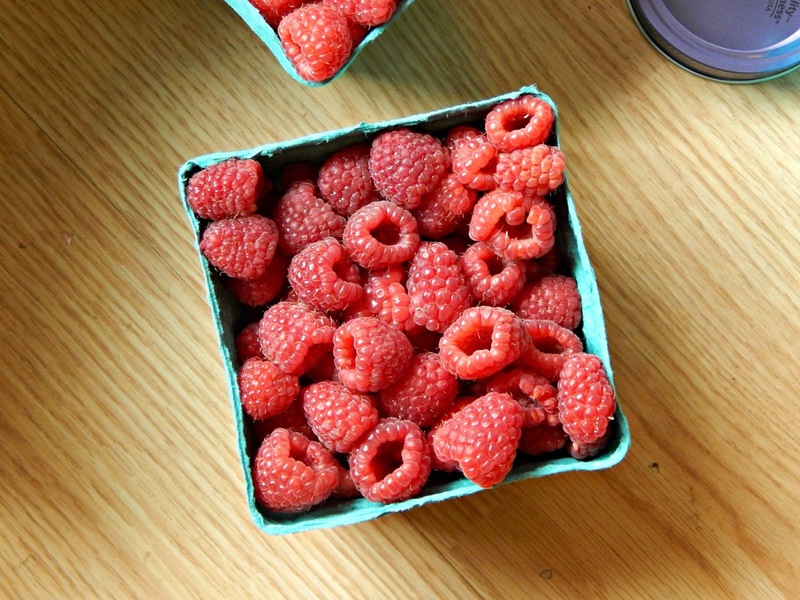 Place the berries over medium heat and slowly bring to a boil, stirring frequently. 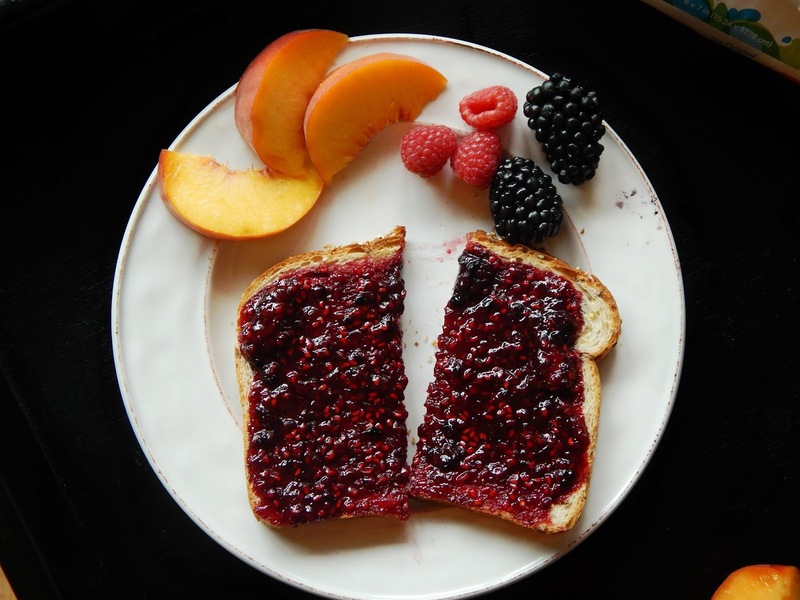 Cook until the berries reach the jellying point – which is about 220-221 degrees F on a thermometer. Using a ladle, skim off any foam on top and discard. 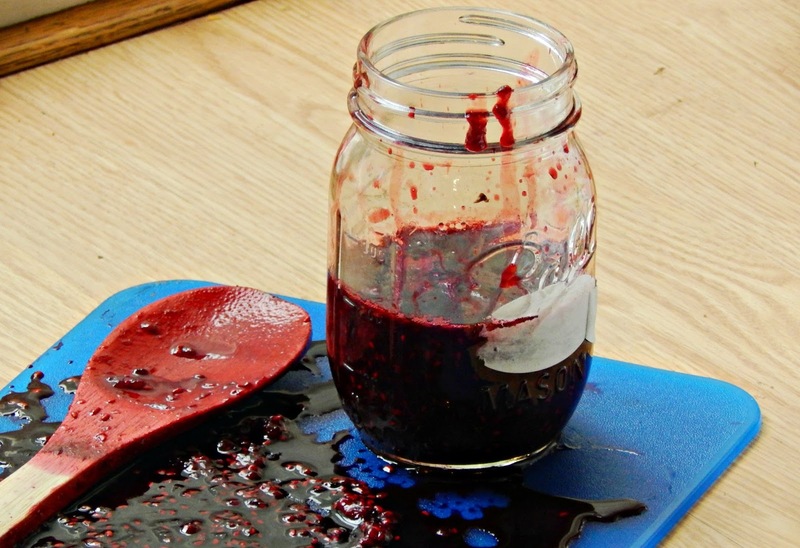 Then, spoon mixture into jam jars, leaving ¼ inch space from the top of the jar. Add lids with rings and then process them for 15 minutes in boiling water. I’m no canning expert AT ALL, so if you have canning questions I’m not the best person to ask. 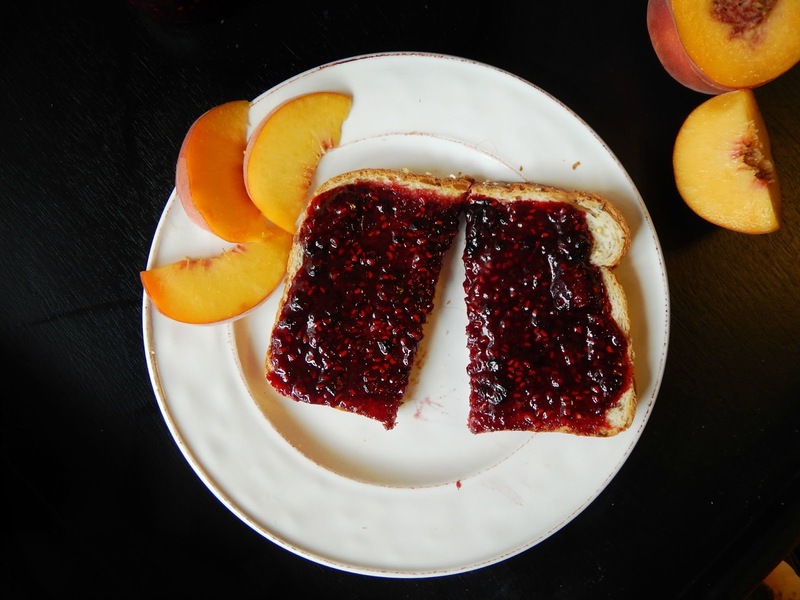 However, I’ve never had any difficulties creating jam – and in fact, sometimes I will just place the jars and lids in a post of water and let them simmer while I’m making the jam. 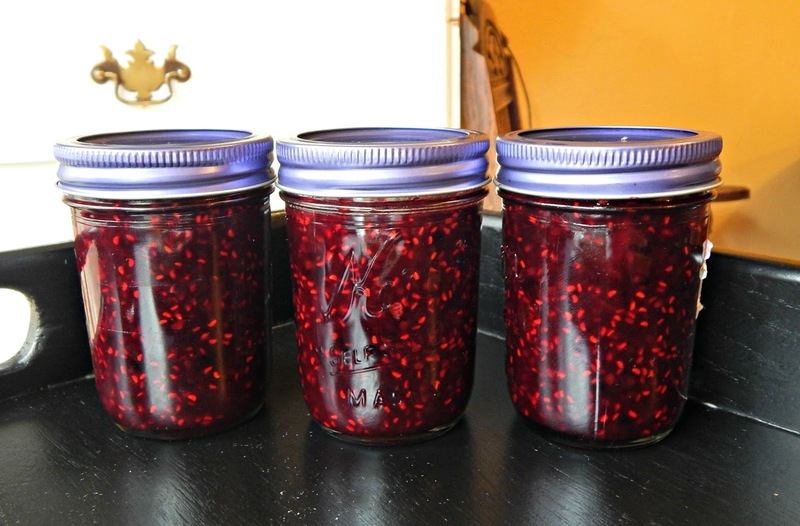 I will then take one jar out at a time with tongs when the jam is ready and fill them up and seal the lids tight. Often times the lids will “pop” on their own once the jars begin to cool and I will not even need to re-boil the jars. I just keep a close eye on them to make sure they stay sealed, and if one happens to not seal, I’ll just place it in the fridge – because we go through jam like crazy around here anyways! 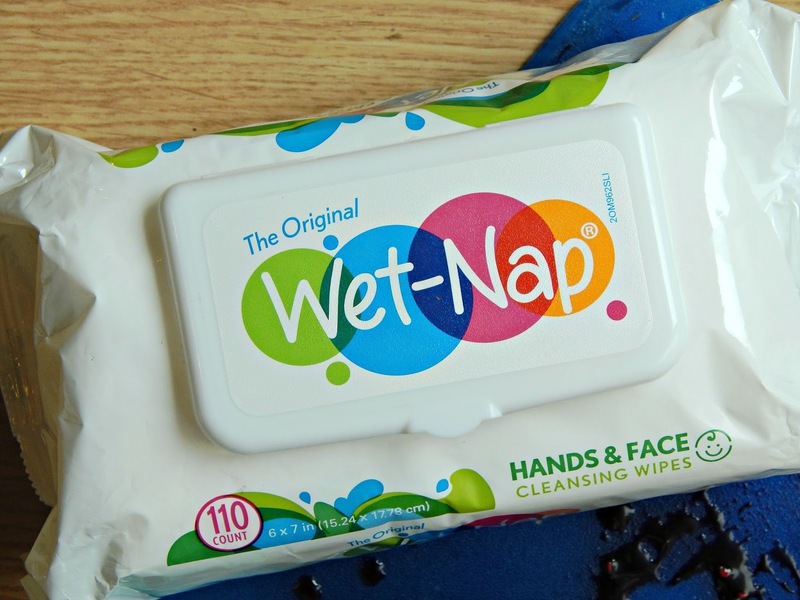 Wet Nap Cleansing Wipes can be found at Walmart and just make cleaning up super easy –whether it is jam off of sticky hands, or dirt from the county fair (I’ll share photos from that soon!) They are just great to have on hand. 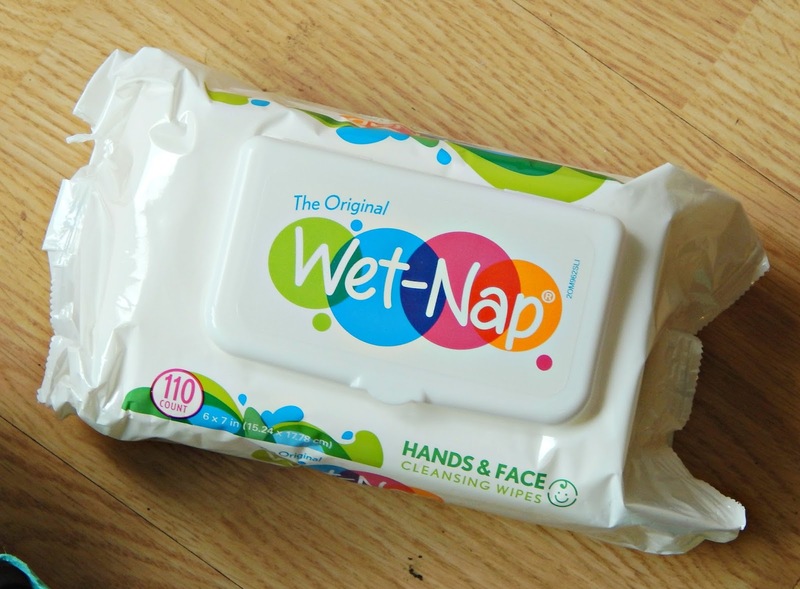 Visit Walmart for all your Wet-Nap® needs: 110-Count Hands, Face, & Body Cleansing Wipes, 24-Count Packettes Antibacterial Hand Wipes and 40-Count Canister Antibacterial Hand Wipes!